The landscape within the Italian Settlement consisted of large open fields with wooded sections. 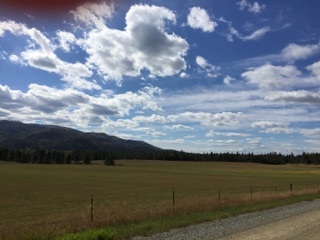 The valley east of Priest River became known as the Italian Settlement. Much of the land is open fields where hay was grown and cattle run. Large gardens were planted near the homes to help feed the families. Now most of the land is vacant fields. Courtesy of Mary Garrison.